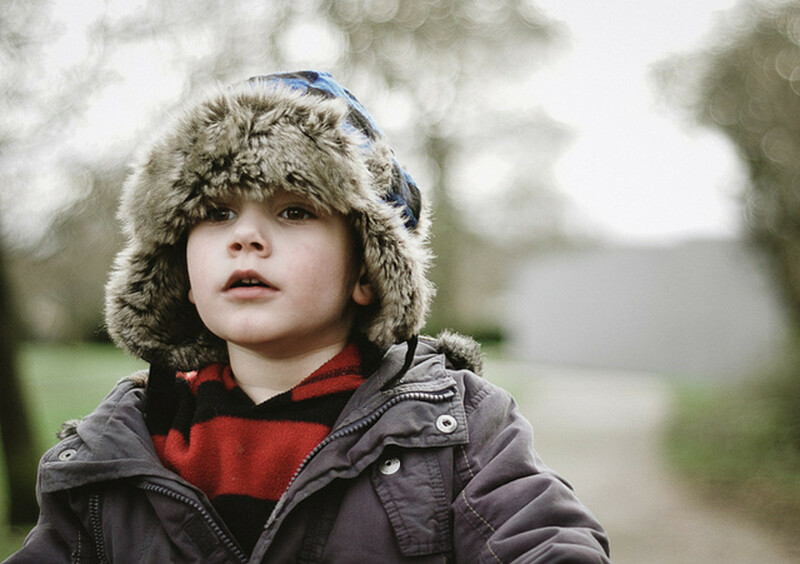 I have a three-year-old boy and I am always looking for lots of creative and imaginative activities for us to do. 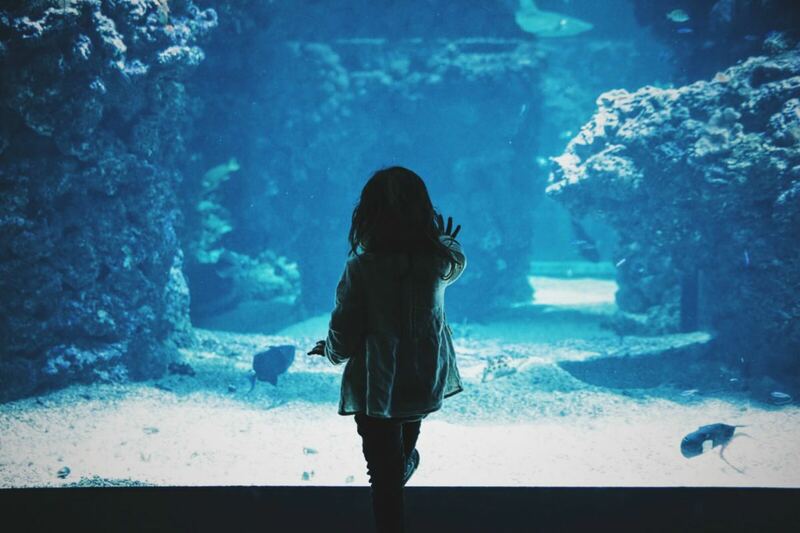 What Do Three-Year-Olds Like to Do? I have a three-year-old and I am always looking for lots of fun, educational, creative, and imaginative activities for us to do. It's good to have lots of varied projects and ideas for those moments when you're trying to think of what to do next. It's also good to have a list so you can plan your weeks out in advance. 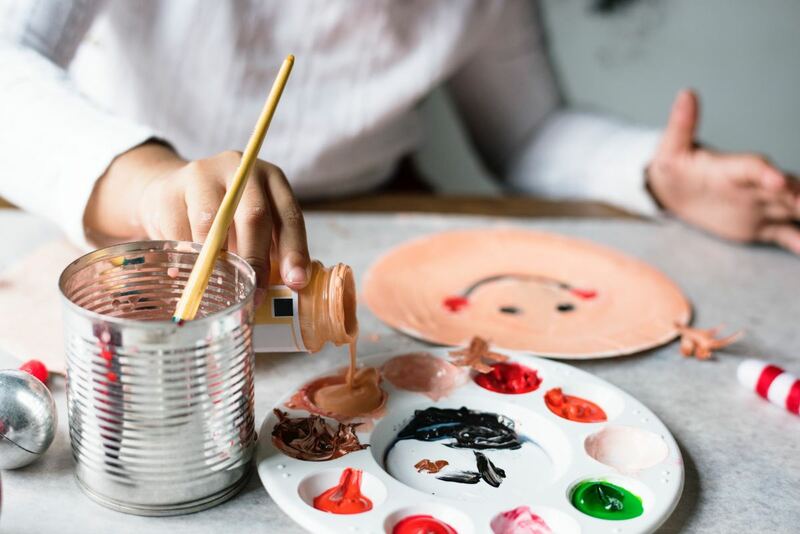 Below, you'll find several lists of ideas and activities that my child enjoys, including things to do on rainy days, outdoor activities, arts and crafts, and role play ideas. Have fun! Play doctor or tea party with dolls or stuffed animals. Do a scavenger hunt for colors: Find one item for each color of the rainbow. Play with a cardboard box: Make a rocket, race car, play house, or nest. 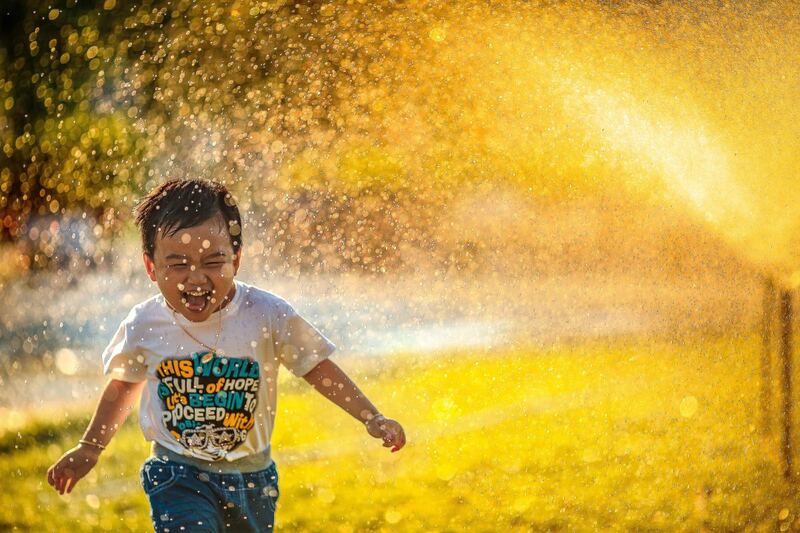 Play with the hose or sprinkler. Make and write a letter to a grandparent and walk it to the mailbox. Build a tower or structure from the items in your recycling bin. Wash the windows with water and vinegar. Do a puzzle (30 pieces is ideal for this age). Fill a sink with water and give their toys a bath. Glue dry pasta to paper, then paint it with water soluble paint. Build a fort with pillows and blankets, then take a nap in it. Make fruit kebabs. Choose one new fruit they haven't tried yet. Play fire fighters and put out pretend fires. Ask the child read their favorite books to you. Make an Indoor Obstacle Course. Jump over cushions, crawl under the table and over chairs, jump on the doormat five times, then run around the table. Just use what you have around the house and your imagination. FamilyEducation has lots of ideas if you need inspiration. Build an Indoor Den. Get some blankets or sheets, drape them over the table, and you have a nice play area that your child will love. Go Bowling. I've just been bowling with my son (almost 3 1/2) and he loved it. Check to make sure the bowling alley has bumpers to stop the balls going down the sides and ramps for little ones to roll the ball down. Walk in the Rain. When it's raining, put on their wellies, get their rain jacket and an umbrella, and go for a walk. Splash in the puddles and see the different animals that come out. Go to the Movies. Has your kid been to the theater yet? 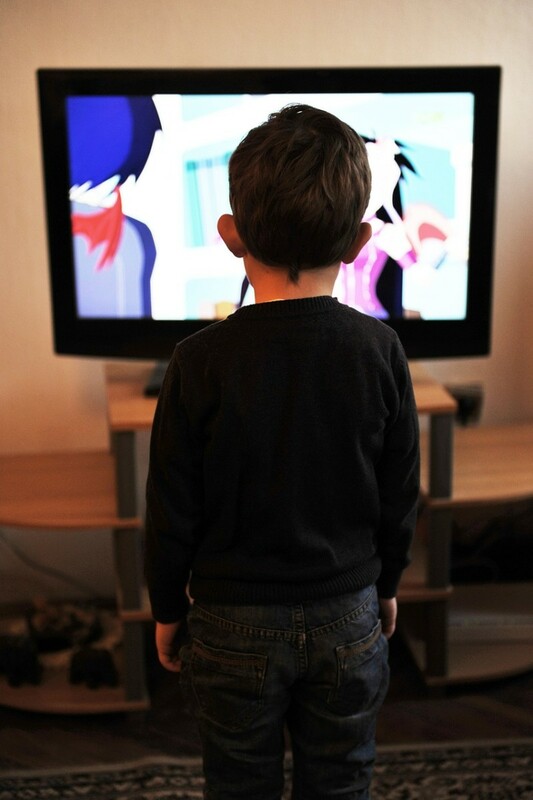 Three is the age when a child can sit for long enough to be able to watch an entire movie. Choose and Watch DVDs. I don't think the occasional movie is a bad thing, especially when we're tired after a long day. My son's favorites are Toy Story 1 and 2. Go to the Library. Choose books that you both like so that you will enjoy the reading session as much as your child. Some libraries have singing and story time activities which are good for toddlers, as well. Have a Storytelling. A good family activity and one that will help develop the imagination and vocabulary is storytelling. Turn the TV off and have every member of the family tell a short story from their imagination. Three-year-olds love cooking. 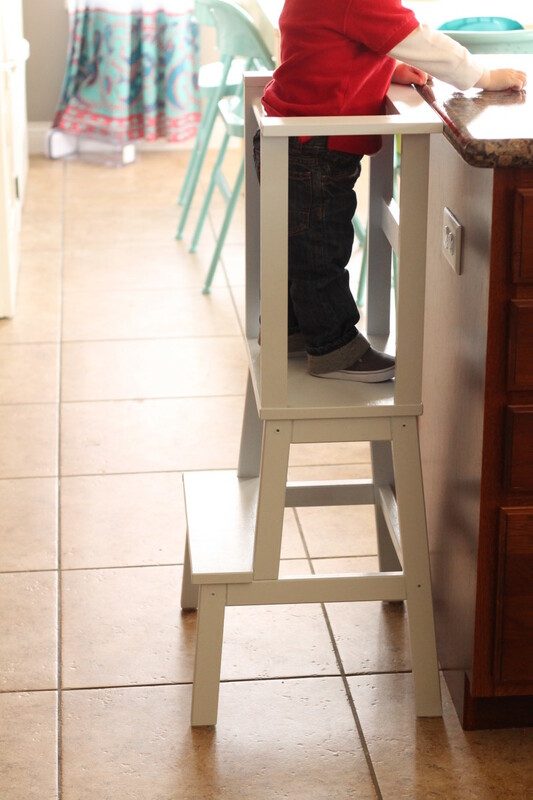 Get them a sturdy stool or box to stand on, tie an apron around their waist, and get to work. You can get boxed cake ingredients which are easy to make, or make cake from scratch. Make shaped sandwiches. Build some interesting combinations (peanut butter and apples?) and then use cookie cutters (circles, stars, animals, etc.). to cut them into different shaped sandwiches. Make your own fruit leather, popsicles, tarts, or jell-o. 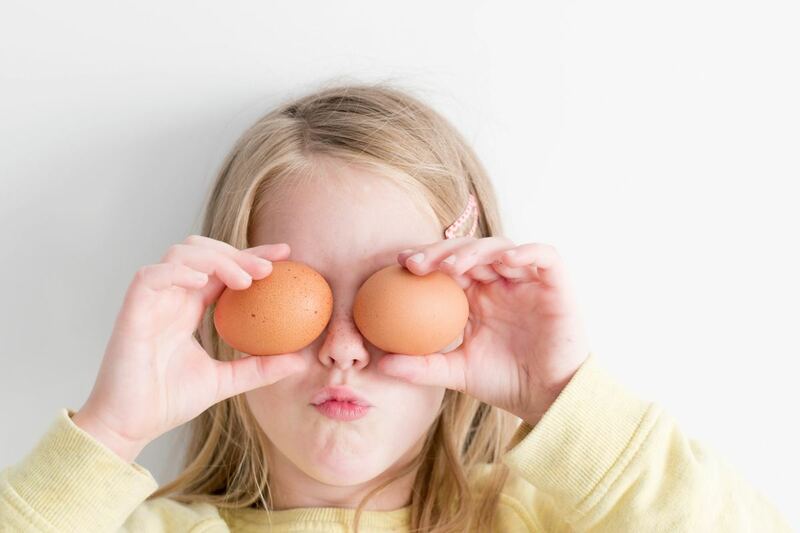 A series of short online cooking lessons with suggestions for what your 3- to 6-year-old can help with in the kitchen and ideas for how to teach them. This is an excellent website with lots of recipes you can cook with kids of all ages. The page I have linked to has ideas of preschool snack recipes. Ideas include painted toast, trail mix, banana bread, cookies, and lots more. Simon Says. Basically, one player is Simon and requests actions such as "Simon says touch your nose" and the other player has to touch their nose. However, if they don't say "Simon Says" before the request, the player mustn't perform the request. It took my son a while to grasp the rules, but he really enjoys the game. You can make it quite physical to burn off energy. Some things I get him doing are jumping, hopping, running around the room, spinning, dancing, and touching his toes. Balloon Games. This is particularly good if you have more than one child at home. Blow up a balloon and see how long it takes to burst the balloon if you sit on it. Or see for how long you can keep a balloon up in the air. Hit the balloon to one another or play catch with balloons. Guess the Animal. One player pretends to be an animal (a dog, cat, bird, elephant, lion, butterfly, spider, rabbit, or any other creature) and the other must guess which animal. You can make noises and get on all fours to portray the animal. Make sure every player gets a turn. Color Hunt. Go on a color hunt through the house. Make it a race and see how many items you can find of the same color. Follow the Leader. One player follows the other's lead and copies everything they do. It could be jumping, hopping, skipping, crawling, running, or singing. You can move around the house or go outside to play. Make sure you both get a turn leading. Check out more ideas for follow the leader. I prefer when my son is running around outside or playing imaginatively, but occasionally he will play games online. There are lots of them and most of them are educational, too. Plus, this activity will give caretakers a few minutes for themselves. 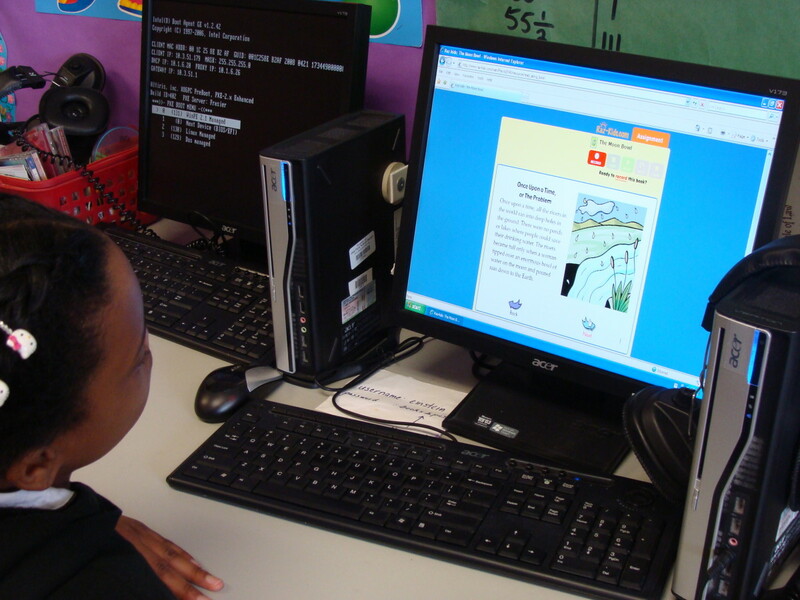 This site features online games for three-year-olds from the UK TV channel Cbeebies. Painting. I hate the mess of paint but on a sunny day, we take the paints outside. I put my son in old clothes so it doesn't matter if he makes a mess. He loves it when we go for a walk, collect some big stones, and then go outside to paint them. You could paint lots of things that you find on a walk, like leaves or sticks. Another idea is to get a big bucket of water and some paintbrushes and just paint everything with water—the floor, walls, etc. (outside, of course). Finger painting is always fun. They will get paint all over their hands anyway, so you might as well make it intentional. Chalking. Chalk in the backyard or on the sidewalk outside. It can be washed away when the rain comes or with a big bucket of water. If you have an easel, you could put it up in the kitchen and use the chalk on the board, too. 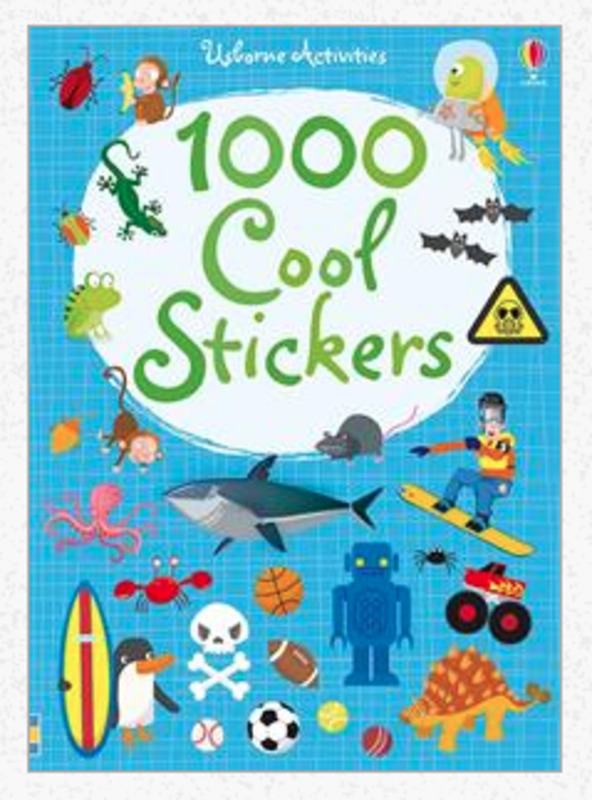 Stickers and Sticker Books. My son loves stickers and work books. I normally have to do some of this with him but it keeps him occupied for a while. Coloring Pages. Print out coloring pages of their favorite characters from TV and books. Do a Google search. There are are lots of free coloring pages on the Internet. Then they can use chunky crayons to color them all in. Glitter. My son loves putting glue on paper and then sprinkling it with glitter. I have to sit with him to make sure that glitter doesn't go everywhere. For more inspiration, there are lots of websites online where you can print out ideas, coloring sheets, worksheets and lots more. This website tells you how to make a simple crown. It also has lots of other great arts and crafts activities. Lots of free coloring pages to print out and color in. Here are 21 quick craft ideas, including homemade binoculars, fun foam door hangers, salt dough, egg carton caterpillars, and collage. Run Races. We vary the races and instead of just running, we jump, hop, crawl, run backwards, and more. Races can take place in the backyard or the park. I normally give him a head start and let him win most of the time! I challenge my son to run around a tree 10 times and then I take a turn. This is designed to help wear my son out but it keeps me fit, too! Play Piggy in the Middle. I play this with my son and my husband. Of course we have to give our son lots of chances but it's fun and he loves it. Go to Playgrounds and Parks. If you can, vary the parks and playgrounds that you visit as it keeps it more interesting for you! Do a Treasure Hunt. There are many different kinds of treasure hunts which are fun for a three-year-old. You could hide objects (such as chocolate coins or teddy bears) around the house or backyard for your child to find and collect. If they collect five items, they could win a prize. Another idea is to create a map with picture clues which they have to follow. Or create a list of "treasures" that you need to find while you're outside for a walk. You can put together a list in picture form (perhaps a spider's web, a bird, or a flower), then your child has to spot or collect the things on the list and they get a gold sticker for each one they find. Take a Walk. A treasure hunt like the one described above is a good incentive to get a child exercising. Other things we do include looking for sticks (he loves sticks for some reason), running races, or following the leader. Another idea is to have a sheet of local bugs and birds you can spot on your walk. You can design and print off a sheet before your walk and tick off the animals you spot along the way. Do Some Gardening. Young children love to help you in the garden. Show them how to plant something or how to dig up weeds. Try starting from seeds. Play Bean Bags. Bean bags are cheap and lots of fun. Toddlers can take part in lots of beanbag games and challenges. You can throw them at a target, see how high you can throw them in the air, throw, and play catch. See if you can throw them into a bucket. Blow Bubbles. Kids love bubbles. If you blow them, they will have great fun chasing them and trying to stamp on them. Look out for bubble wands too. You move the wands in the air and they make bubbles without having to blow them. This means the kids can make bubbles without blowing. Build an Obstacle Course. 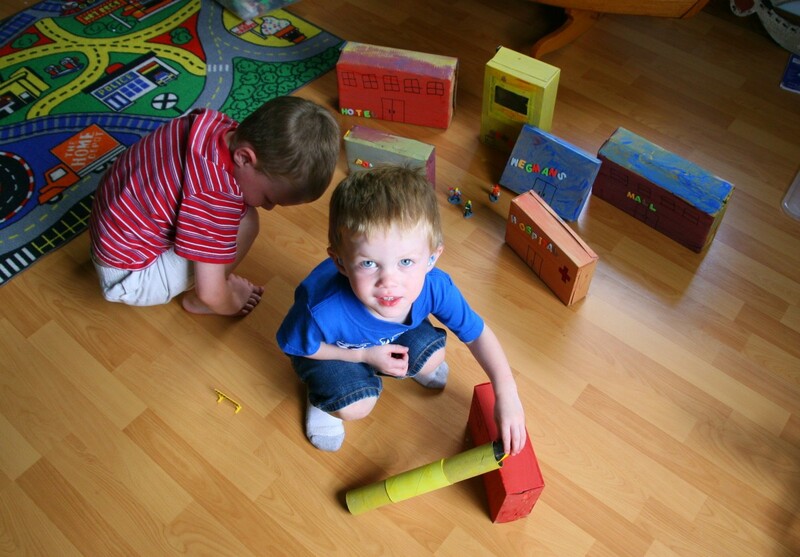 You can set up an obstacle course so easily by using household objects and toys. The other day, my son and I were running round tables, crawling across old pieces of carpet, jumping on and over cushions, and kicking footballs to the wall. All it takes is your imagination to set one up. This can be done outside or inside if you have enough room. Go Swimming. This activity wears my kid out and takes up an entire morning or afternoon. Lots of activities for preschool age children. Can be done at a children's preschool or many can be done at home with one child. Ideas include outdoor water art, treasure hunt, making volcanoes, outdoor animals, rock collecting and lots more. Ideas include tag, backyard mazes, stop and go, and lots more. Practice balancing. Walk along a low wall or set up a beam for them to balance on. Roll down hills. Go to a park with a nice, gentle, grassy slope and roll down. Play newspaper basketball. Get some paper from the recycling bin, wad it up into little balls, and practice shooting into a large bowl or basket. Practice yoga. If you don't know any poses, look them up (or make up your own!). Hula hoop. They even make hula hoops in adult sizes, in case you want to join. Giant steps. Pretend to be giants who only take giant steps (great for the gluteus muscle!). Run laps. I have a friend with two extremely energetic preschoolers. She takes them to a field and gives them a treat if they run 5 times around. Weather Chart. You can make a weather chart for your three-year-old, with a slot for the morning and afternoon. Then, every day, you can do a drawing of what the weather is like outside. 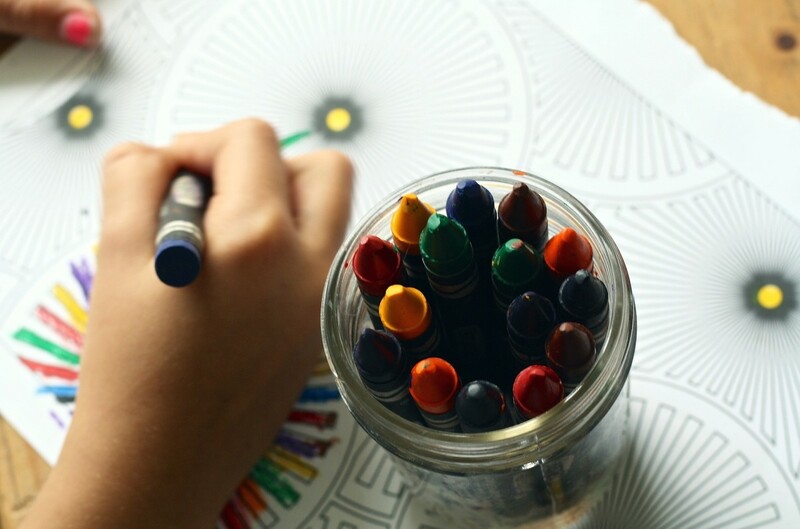 For lots of activities to do with your child regarding the weather, check out these weather activities which include crafts, coloring, poetry, and printable projects. Make a Name Puzzle. Write your child's name in big letters on a piece of paper. Then cut out a set of letters which are the same size as the letters on the paper. A three-year-old can then match the right letters on top of his name. You can make puzzles for any word. Draw a picture next to the word so the three-year-old can see what it says. Make Collages. Cut out pictures from a magazine of pictures of things beginning with "a" (apple, ant, etc.). Or make collages with pictures that are all red. You can have all kinds of themes for your collages, including numbers, letters, colors, and shapes. 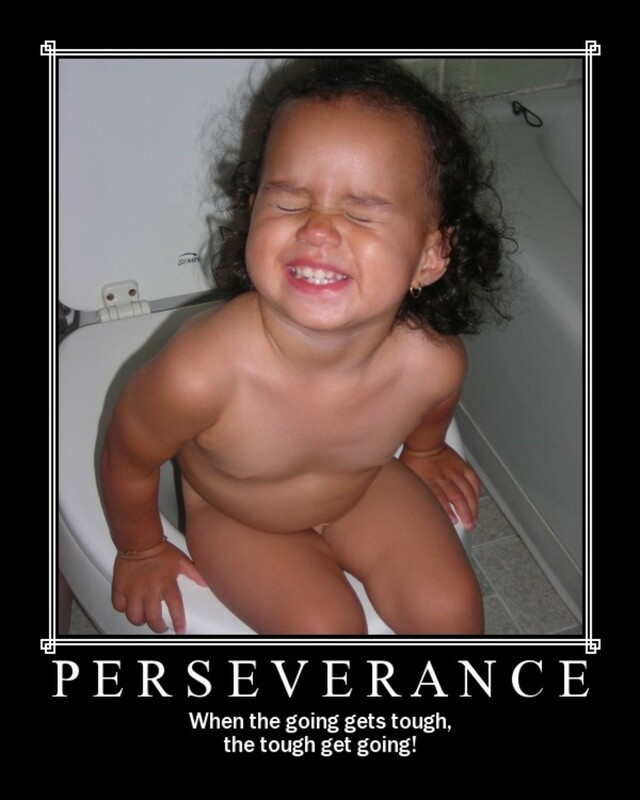 At 3 years old, you don't need a formal educational activity plan. Just make learning fun. Read books and sing songs. You can teach vocabulary, numbers, colors, and letters through toys, play, talking, singing, going on outings and other everyday activities. Children also learn a lot by playing with their toys. My son is always playing imaginatively and learns through playing with jigsaws, his construction toys like legos, games, and arts and crafts. Lots of fun activities to help learn the ABCs. Three-year-olds are just old enough to play simple card or board games. They're great for learning how to take turns and about winning and losing. They improve social skills and, depending on the game, can improve vocabulary, hand and eye co-ordination, and lots more. Richard Scarry's Busytown, Eye Found It. This game is fun for a long time. There is an elaborate and detailed Busytown scene to search in for items and the more you find, the further and more quickly you progress. Quirkle. A color- and pattern-matching game. For this age group, it's best to skip the scorekeeping and work as a team instead. Spin the spinner, squeeze the matching colored acorn with your Squirrel Squeezers and place it into your log. Be the first to fill your log with delicious acorns and you win. You could also spin “pick an acorn,” “steal an acorn,” or “lose an acorn,” so be strategic, little squirrel. My son's imagination is running wild at the moment. Every object has a personality and says hello. He pretends to be a monster and other characters. Here are some ideas of how to use their imagination and role play. Puppet Shows. Get all your child's soft toys or dolls and use them to put together a short puppet show for them. Then they can do a puppet show for you, too. Shop. The other day, my son and I made some money out of paper. We put different numbers on the paper for different amounts. Then we set up a shop using a table and we "sold" lots of his toys in the shop which we bought using the money we made. He was the shopkeeper and I was the customer and then we swapped. He loved it and wanted to play it again and again. For some excellent role play ideas, check out this article. We have a selection of toys at home that my son loves to play with. I have noticed that he has an initial interest in a toy, but as soon as the novelty factor wears off, it no longer gets played with. However, there are cheap and easy ways to keep them with a supply of new toys. This is what I do to make sure the toys get played with a lot. Rotate Often. I regularly rotate the toys in and out of an out-of-reach toybox to keep my son interested. Buy Secondhand. I pick up used toys at garage sales and thrift stores. They are cheap and as he hasn't seen them before, so they keep my son's interest. I donate our old toys but you could always sell them, too. Toy Swap. I have a friend who is always giving me her son's toys that he no longer plays with. She is happy to get rid of them (since she has more space) and my son has some new toys to keep his interest. I also swap toys with my sister who has a child of a similar age and then we swap back again. Playgroups and Playdates. We go to different playgroups where the toys are always fresh, new, and exciting to him. My son is always more keen to play when other children are there (although sometimes sharing is an issue!!). You'll quite often get a return invite where there are different and new toys for your child to play with. Over 70 kids games for birthday parties, events, youth groups and just friends hanging out. 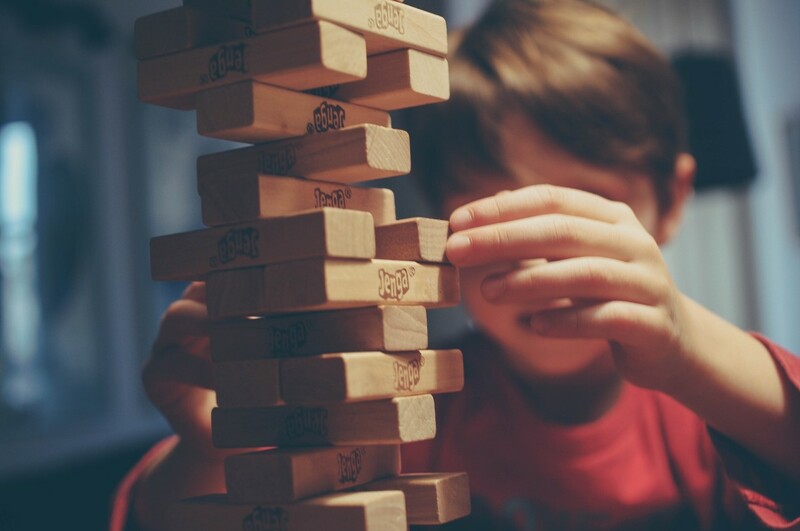 These kid games are for ages 3 and up and can be modified for adults too. This is an excellent website with lots more activity ideas. They include making paper plate tambourines, playing toy towns, making special soup, super letter hunt, bubble count, indoor boat ride and lots, lots more. If you have any good ideas of things to do please add them below. Thanks in advance! These are all great ideas. I especially like the one about making an obstacle course in the house! Very creative. If you get a chance, please check out my page as well. :) In my latest article I talk about my experience observing in an elementary classroom and what I learned from it! Great article! I am always looking forward to having new fun experiences with my kids. Great ideas, thanks so much for sharing. My son's favourite is the sticker books! Some fantastic ideas! I have a 3 year old girl and sometimes can't think of anything to do, I've written some of these on a list on the fridge to remember! Such a great lens, and it brought back wonderful memories for me. My son and I made a papier mache volcano when he was two and it was wonderful. Great lens, I Like Simon Say games. 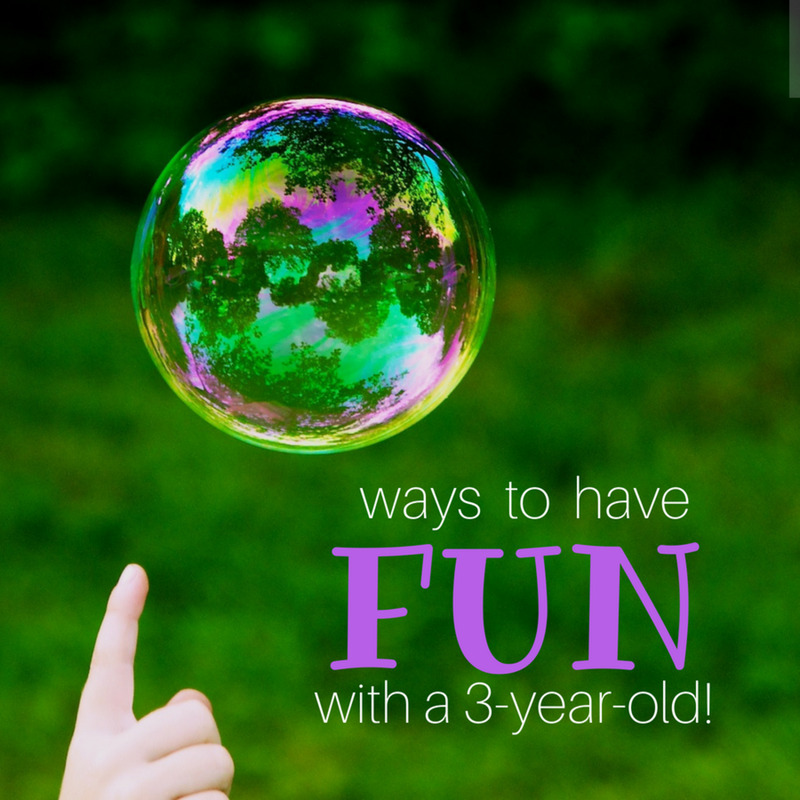 Some really great ideas here for me to try with my almost 3 year old! Good collection of activities! Thanks a lot. Great ideas! What a fun lens. Very nice lens with some great activities for 3 year olds! Thanks. I'm submitting this lens for my Rocket Squids fast track challenge: "Find Things That Go Fast". For me, it was having my children grow up. Yesterday, they were 3 yrs old and today it's prom time. Where does the time go? Lots of great activities for 3 year olds Thanks. Thank you for this very informative lens! I never did babysit myself in my home country. Babysitting was not popular there. So I wanted to know how to play with kids. This lens is great for person like me! Thank you! Great ideas to keep my twins busy during vacation! This has been the most helpful site i have yet to see. Thank you for putting this together me and my son are going to have a blast! Always need something to keep him entertained with all of that energy! :) this was a blessing! thank you so much!!!! this will deffinetly help!!! 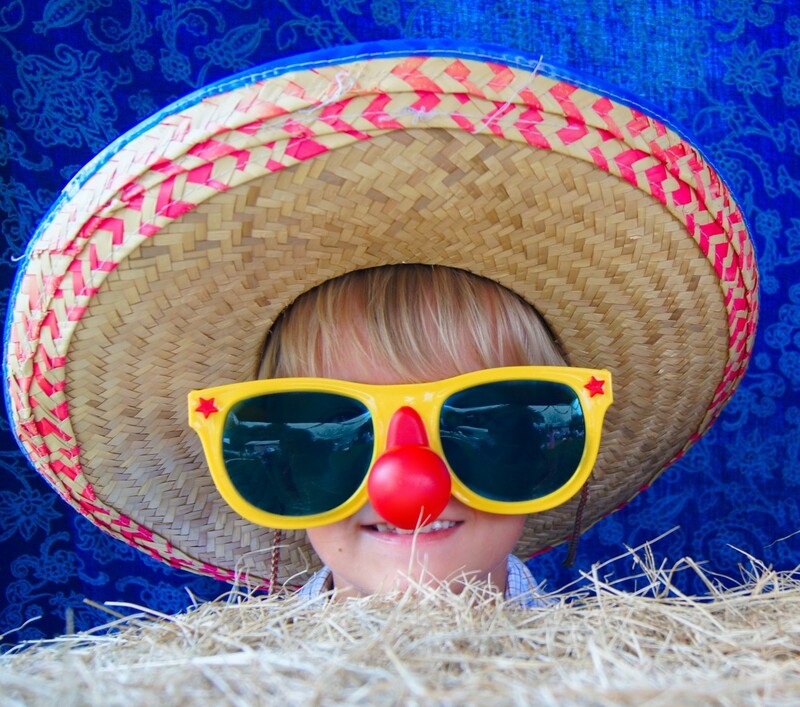 These are great ideas, not just for 3 y/os but kids of all ages! Just adapt them for your child and they're great. Just goes to show you don't have to spend a small fortune for great games! These are awesome ideas! I have a 3 yr old little guy too and he just loves it when I make simple, short obstacle courses for him, either inside or outside, having him jump over, crawl under, and shimmy through different things. @anonymous: Ur rite really ggoodd lens !!!!! wow, you really thought of it all!! You must know some very happy 3 year olds. What a nice lens, and what a great parent you must be. Thanks for the insight. Fantastic ideas so nicely put in one spot! Awesome! I enjoy reading your lens, well done! Thanks for so many ideas! Hey, u know my three year old and myself have a great fun by playing these games ooh it's cool great lens! My son and I take turns throwing a bouncy ball into a tote (a laundry basket would work well too). We count how many "baskets" we make. Next round we said the ABCs, then shapes and colors. i love this site my child learnt all the colours shaps etc thanks for great lens. i have two boys and they like swimming a lot. I have to take them to swimming pool every weekend. my 2 year old likes to play catch me i run slowly she tries to catch me its really fun for her. Louise, Thanks for your great lenses, I have grandchildren (ages 5 and 6 months and 3 years) and I will be happy to share your lenses with their parents and try some of the things when I borrow the g-kids. I ordered some books from Amazon from your books for 3 years olds lens. My lenses are few and two are as yet unpublished, but I am finding that people like you have made some useful lenses. My published lens is about the Northern California coast (which is like the coast you'd see in the British isles... although I have yet to confirm that).I hope to have my Big birds lens up soon, your 5 year old might like it. With my child, i like to do potato printing as i find that she loves to get her hands dirty. It really helps with her fine motor skills and hand eye co-ordination. I would definatley recommend it to any other mothers with a three year old!! I find it is better to buy the old fashioned coloring books from target as opposed to printing them out - almost more expensive and time consuming to print them. Great list here thanks for the share! I think I'm a bit late to land here... just two years or something, my daughter is now 5:) Great suggestions though! Great Lens: I have always found that if an activity is not fun for the adult the chances are the 3 year old will not enjoy it too. 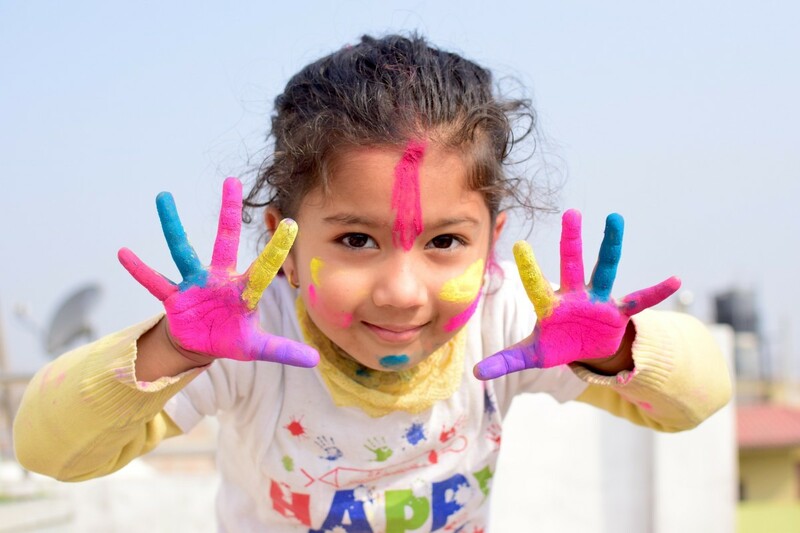 Children take their love of play from those around them. All too often parents just sit the child in front of the TV and wonder why when they get to the teenage years they don't want to do things as a family. Parents, learn to enjoy time with your children, they wont be children for long. Thank you for this article. Mine friends and I do in home care is our minds can sometimes go blank especially when it comes to boy type activities. I know at three role playing games like puppets are lots of fun! Its always fun watching them come up with a puppet show! Great lens! Three year olds are so precious. They grow so fast that it's great you can spend time with your son. Very nice lens with lots of great ideas to keep the little ones busy and happy. great ideas! great lens! really appreciate the compilation! Nice lens! Sometimes it's hard to keep the little ones occupied, but you have some great ideas! I am a retired preschool and kindergarten teacher so I can say from experience that your list of activities is spot-on for this age group! What a wonderfully comprehensive list of activities for young kids. Thanks! This is a fantastic list of activities! I'm going to print it out and keep it handy next time my grandsons come to visit. One is 3 and the other is 4 so these activities are perfect! Thanks!